The Problem: You want your cutting tools to stand out from the rest. You'll be the centre of attention with Iceman Black Crystal Tattoo Link. Statement style meets traditional craftsmanship. 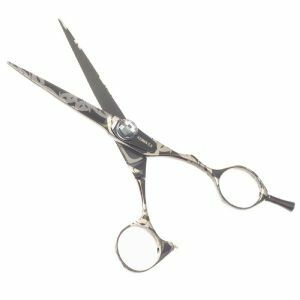 The silver barb wire inspired design and adjustable silver jewelled tension dial add the finishing touches to these one-of-a-kind scissors.